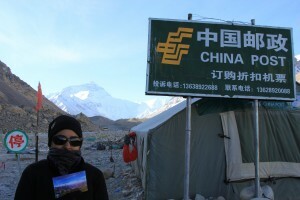 Okay, so braving base camp on the Tibetan side isn’t as hard as it sounds. No week of climbing in the freezing cold needed. 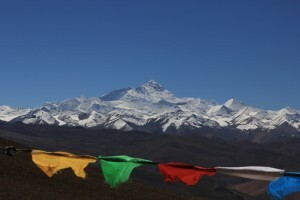 The Tibetan plateau is so high that the country is practically already on the snow level of Everest. 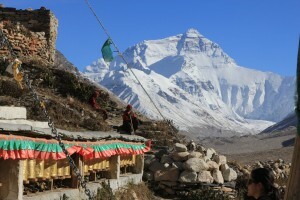 To compare, if you’re on the Nepal side you’ll spend a week hiking to get to the snow line. We pretty much drove in. But is was cold, if that counts. 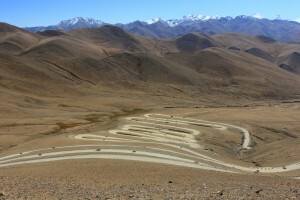 The ribbon road to base camp with Everest in the distance. The Chinese don’t use the name Everest. Never have apparently. There are signs as you get to the the tented area, 200 meters below the official base camp, where we stayed the night, that read “Qomolagma Base Camp”, which is what they call it. Wonder if they know not a soul would know where that was. Unlikely. 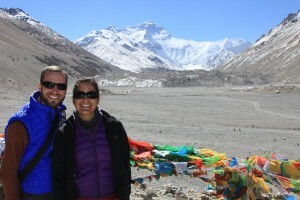 We arrived just before dusk and hiked to Rongbuk, the highest monastery in the world at 4,980 m (16,339 ft). 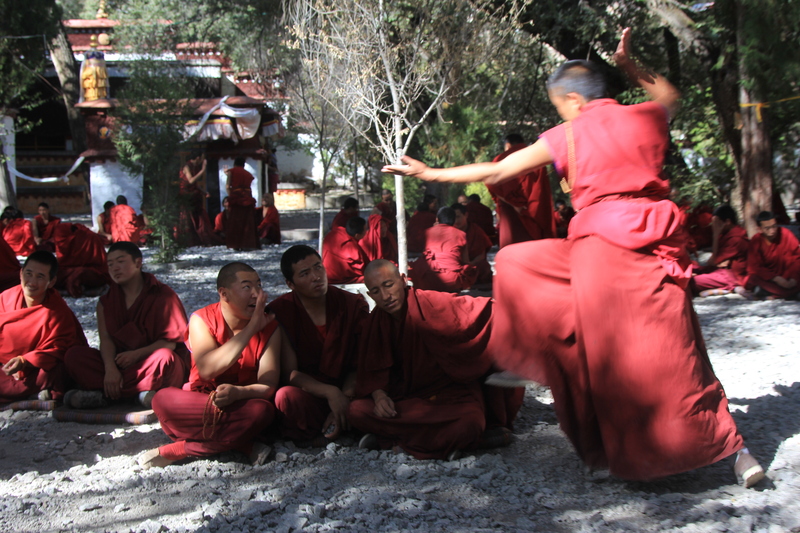 A quaint place that, like most monasteries in China’s Tibet, was empty of monks and open worship. Then again, we were at the top of the world, quite literally, there weren’t many folks around anyway except for yaks. Lots of yaks. About six of us spent the night in a big Tibetan tent that had a steel stove in the middle for warmth. The only thing we had to worry about was braving the cold and the toilet shack when we had to go. Highest post office In. The. World. The next morning, after mailing a postcard to Josh’s nieces from the highest post office in the world, we headed out to base camp at 5,200 m (17,060 ft). It was only 200 m away from our tent but uphill and at that altitude, it wasn’t nearly the breezy walk it should have been. After a bit of complaining (I blame the altitude!) and some encouragement from Josh, we made it to base camp. Famed in movies and music and by the insane but determined people who climb her, it was pretty amazing to spend a morning standing on the edges of the snow-line and look at the highest point on earth.